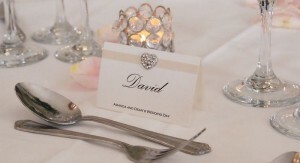 Place settings are important if you want your guests to sit in particular seats. 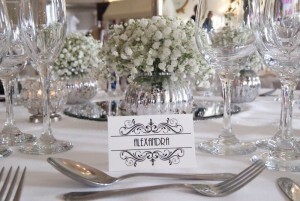 There is a huge range of ideas and we show just a few of our previous work here. 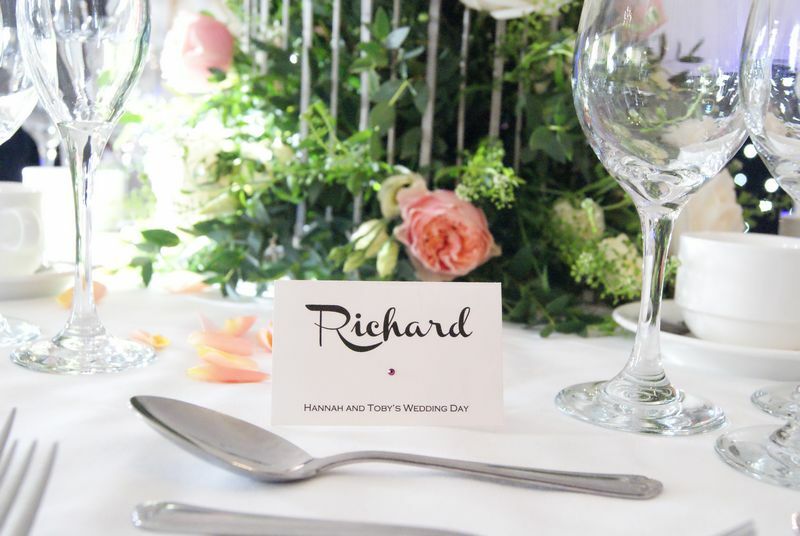 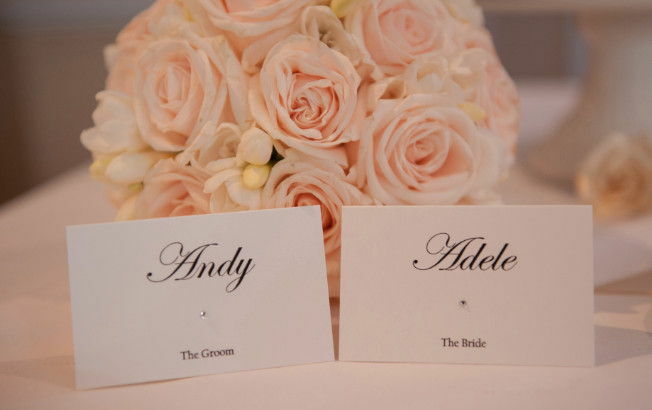 We have choice of lots of whites and ivory cards and 1000’s of fonts to choose from (we work very closely with you to ensure the font is right). 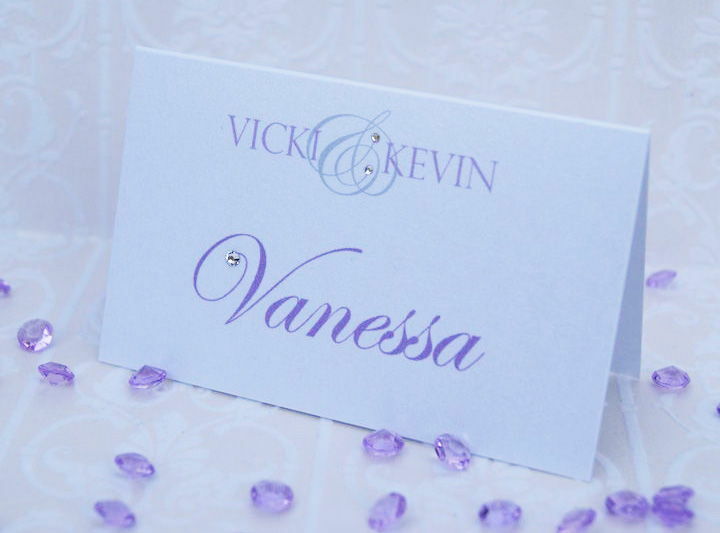 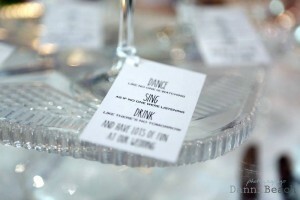 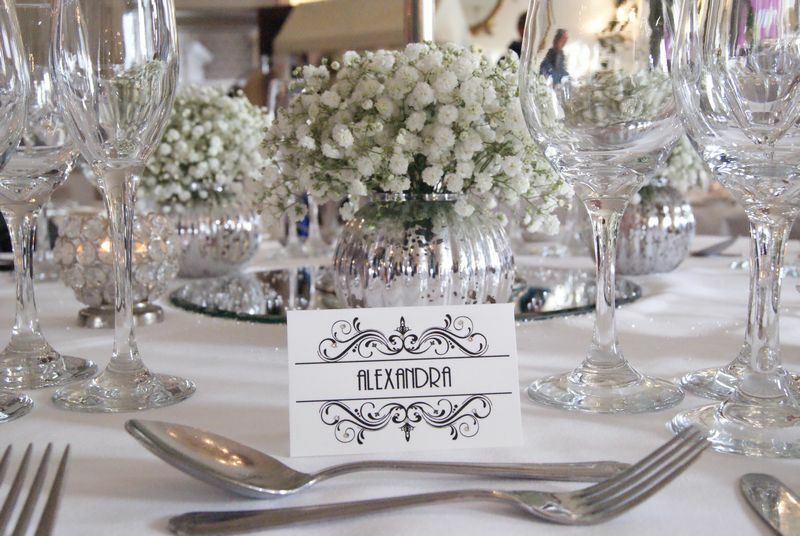 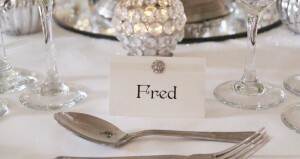 Place settings can be finished with crystals or pearls or ribbons or just plain print. This is not the extent of our work and we can make something to your requirements, so please do not hesitate to contact Joanne to discuss any of your ideas! 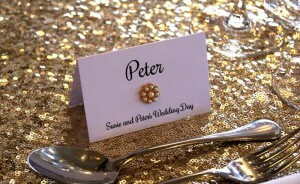 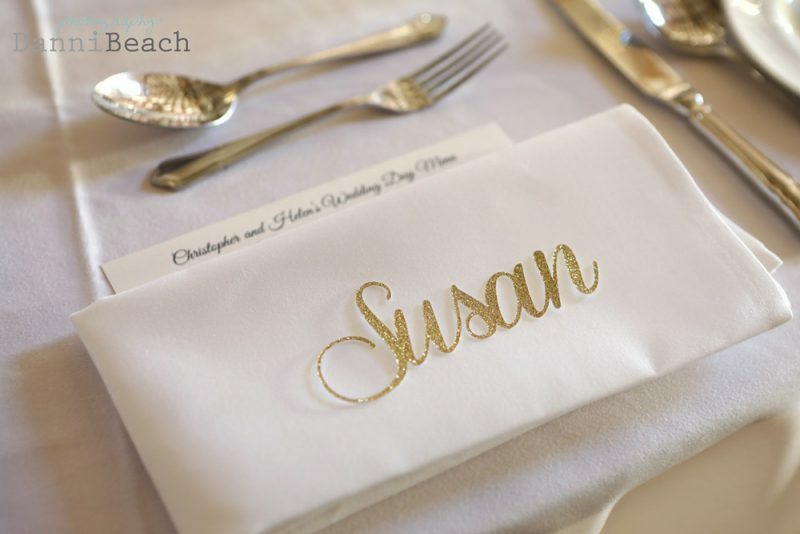 Glitter Names: Individually cut names used in lieu of a place card. These are a fabulous way of adding some colour and sparkle to your tables. 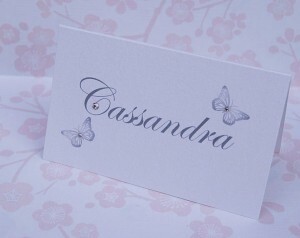 Available in an array of colours. 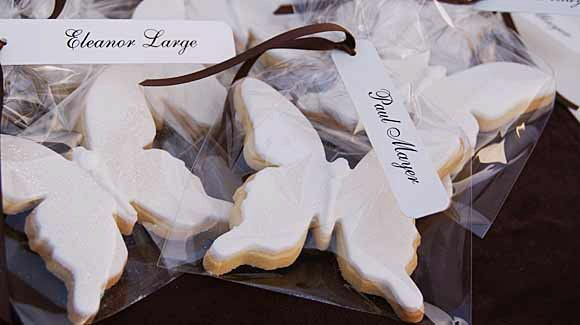 We have a fabulous relationship with a local artisan baker who will make cookies in all shapes and finish them to match your colour scheme. 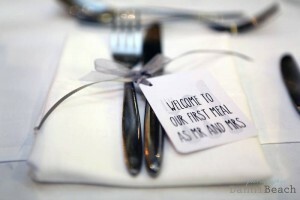 We then ribbon them up and add a place setting for you. 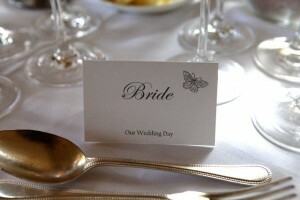 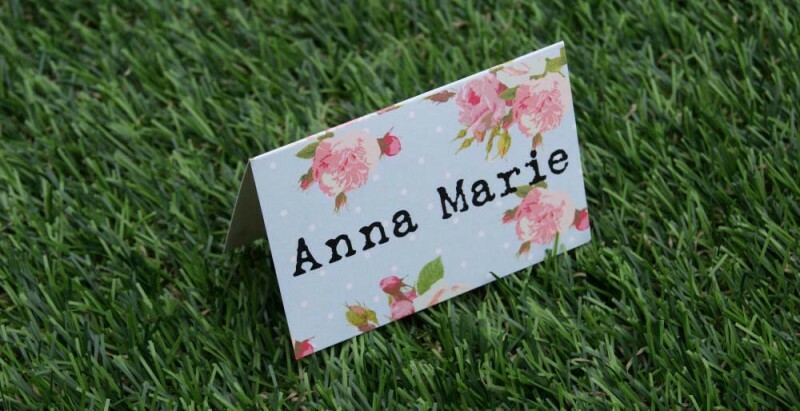 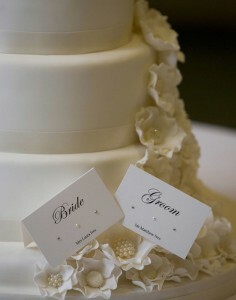 Very cute printed butterflies on place cards look lovely with some themes. 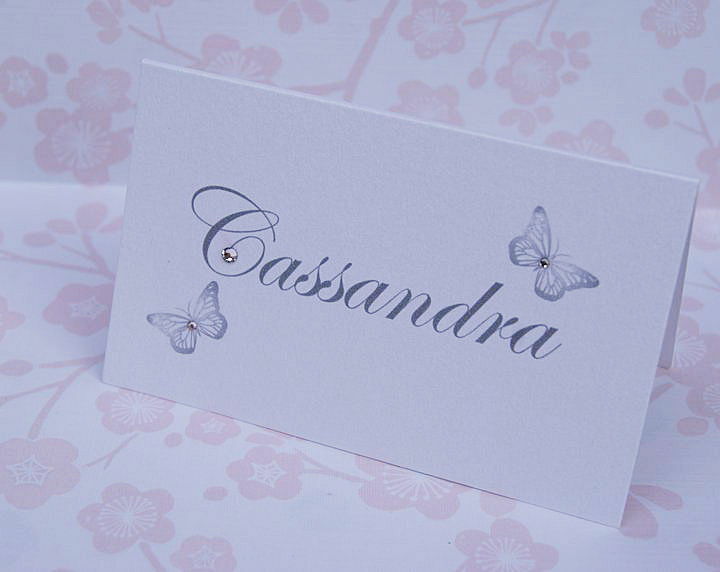 We finish the butterflies with some Swarovski sparkle...just a little twinkle! 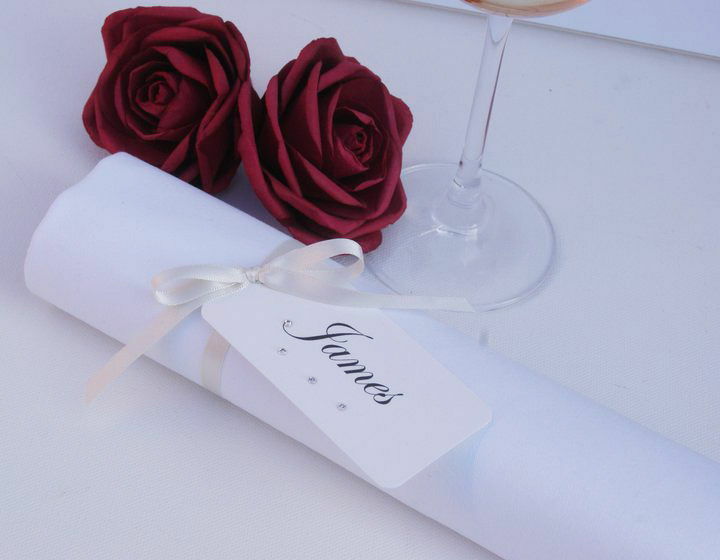 We make long rectangle labels individually printed (they can have crystal too) and we ribbon them all ready for you to tie onto rolled napkins. If you are needing tags to tie around favours (you are creating yourself), we can provide the labels for you without ribbon. We can also make them to size so they are perfect for your favour. We also offer an array of filled sweet jars we can ribbon and add a place setting for you. 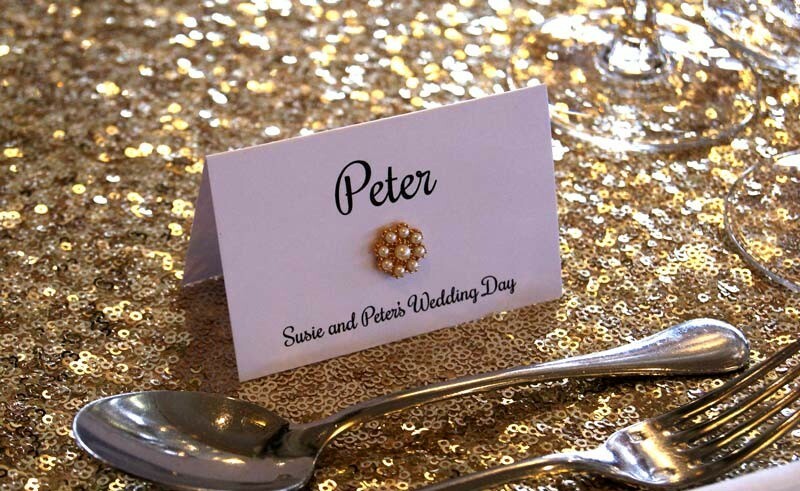 All you will need to do is pop them on the tables! 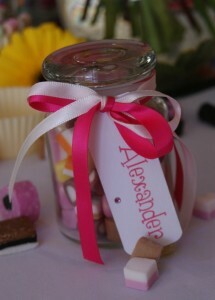 From £5.00 each. 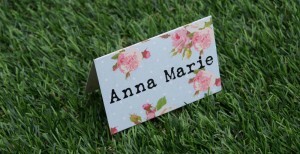 A very fashionable, vintage printed card (we can also produce invites and matching items in this print too). 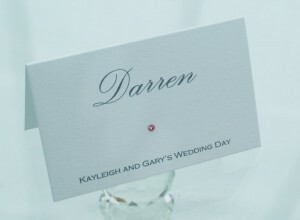 This is a pure print place card with no sparkle, shown here in a font like an old fashioned type writer.